Our hub encompasses a large area from the top of South Gloucestershire (where we leave the GLOW Maths Hub), down to Taunton in Somerset (where we meet the Jurassic Maths Hub). From the east we work within Swindon and Wiltshire all the way to the Bristol Channel in the west. What is the Boolean Maths Hub? We are recruiting now for the following work groups - click on the links for further details! Please note the Early Years Research Work Group (Frome area) is now full. As part of our role in leading the Boolean Maths Hub, we collect and hold a certain amount of data about individuals involved in our network. 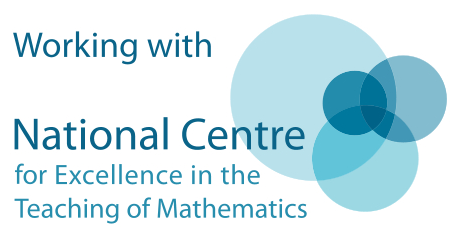 The data includes name, role (with respect to hub work), school/establishment, email address, National Centre for Excellence in the Teaching of Mathematics (NCETM) username and (in some cases, for example Work Group Leads) telephone number. The agreement between the Boolean Maths Hub and the Department for Education (DfE) requires us to monitor and evaluate our work as a Maths Hub. This is the legal basis for the data that we hold; for example, participation in the Work Groups, which we coordinate. Such data is reported on a regular basis to both the NCETM and the DfE. We fully appreciate your involvement in the Boolean Maths Hub’s network. However, if, for any reason, you wish to unsubscribe from our distribution list at any time, please email BooleanMathsHub@clf.cabot.ac.uk to let us know. 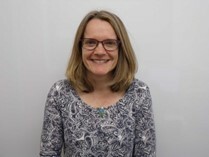 Lisa Pollard became the Senior Leader of Mathematics for the Cabot Learning Federation (CLF) after successfully leading a Mathematics and Computing faculty for four years. Lisa’s value base revolves around the belief that everyone and anyone can be a mathematician. 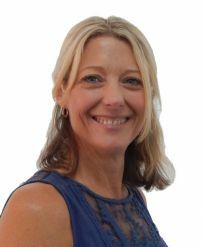 Lisa has worked with and supported schools and academies across the South West in Mathematics with a variety of themes including: embedding problem solving, mathematical reasoning, raising attainment at GCSE and Post 16 and systems change. Lisa leads the highly effective CPD for the Maths team across the academies in CLF, is a Core Maths Lead and was selected to visit Shanghai as an SLE in January 2014. Alison previous to moving to the CLF was Head of Education Department at the University of the West of England, responsible for approximately 1200 students and 90 staff. Before that Alison was a secondary mathematics teacher and a Senior Lecturer in secondary mathematics education for Initial Teacher Education and Masters in Education programmes. Alison’s areas of expertise include secondary mathematics, Initial Teacher Education, national Teachers' Standards, action enquiry research approaches to developing teacher effectiveness, developing and managing effective partnerships between HEI and schools and school governance. Her areas of research interest are mathematics pedagogy, teacher education and professional development, all-through schooling including transitions and closing attainment gaps. Linda’s role in the Maths Hub brings together her previous administrative background, in a large central Bristol secondary academy, and her vast experience working with both primary and secondary phase governance across the region. Linda has a genuine interest in the provision of excellent teaching, to ensure Maths is an accessible and an enjoyable experience for everyone. Ieuan Pearse studied Mathematics with Economics at Exeter University and became a maths teacher in 2008. He has spent most of his teaching career at Bristol Cathedral Choir School, helping the Maths Department receive a departmental Ofsted ‘Outstanding’ rating in 2012. In his time at Bristol Cathedral Choir School, Ieuan has led on developing maths across the curriculum, presented 100s of GCSE CPD and A-Level revision online videos for Pearson and Edexcel and has spent 5 years as a Staff Governor. Ieuan leads the Y13 provision at Bristol Cathedral Choir School including entry exams such as STEP and MAT and embedding technology into Post-16 learning. 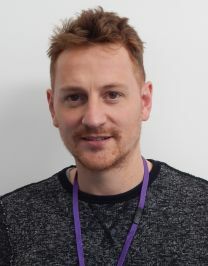 Ieuan joined the Boolean Maths Hub team as the Level 3 Lead in 2016. Due to the success of our TfM Leads and Specialists, nearly 150 schools are participating in the Teaching for Mastery Programme and teacher research groups. 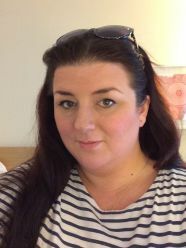 As such Geraldine Pearce has joined the team as TfM Administrator and will be applying her previous admin and finance experience to this exciting new role. Following her degree in Maths and Education Studies, Geraldine has a keen interest in helping the team to make mathematics enjoyable and accessible to everyone. Accountability for the Maths Hub is shared between two key groups: The Maths Hub Board (MHB) and the Maths Hub Strategic Leadership Group (SLG). The Maths Hub SLG, made up of key strategic partners, will continue to meet termly (6 times per year). The SLG is be made up of the following members who between them will represent the key constituencies of the hub project. Alison Fletcher, (Chair) Senior Lead Support and Director of the CLF Institute, which includes the CLF Teaching School Alliance (CLF TSA). Mandy Milsom, Executive Principal Primary - CLF academies. Mandy was part of the phase 1 China-England Exchange Project. Carrie Martin, Senior Network Leader, CLF and Head of Mathematics at Bristol Metropolitan Academy (BMA), which was part of the phase 2 China-England Exchange Project. Alison Capstick, Head of Teaching and Learning for the White Horse Federation (WHF). Sue Rayner, Early Years Consultant and Trainer. V. Share and celebrate the work of the hub. In addition to Work Group Leads (WGL), members of the Maths Hub Strategic Partnership (SP) are invited, when relevant, to join the SLG meetings. The role of members is to contribute to the development of the work groups, trial ideas and work with their satellite schools to extend the reach of the maths hub. The membership of this group is reaffirmed each year to ensure that SP continue to be active in the work of the Maths Hub. To identify key staff from their schools/academies, and within their spheres of influence, to engage with the Maths Hub. We continue to utilise the support and accountability measures held by the Maths Hub Board (MHB). The chair is impartial to and independent from the day-to-day running of the Maths Hub. This ensures that the Directors of the Federation, who are ultimately accountable for the expenditure of the funding, are both represented and informed. The Board holds the work of the Maths Hub SLG to account and will continue to meet three times a year. Their main role will be to provide challenge around impact and value for money. To monitor financial allocations in line with the Maths Hub budget. Having both our MHB and our SLG ensures a greater accountability and as each group is focused on specific strategic and active elements, this maximises the time spent by each of the individuals in the respective groups. WHAT IS A WORK GROUP & WHICH ARE WE LEADING ON? Find out about all of our Maths Hubs workgroups and ones which could help you. National Collaborative Projects: Work groups focused on national priorities, which all hubs work on in a common way. Hub Initiated: Locally tailored work groups which address programme priorities, with hubs working independently. Hub Supported: Professional development, enrichment, training and support, which are promoted and encouraged rather than funded by the hub. Each of the National Collaborative Projects (NCP) fits into one of these areas. In addition to this, each Maths Hub Lead is tasked, as part of a group of Maths Hubs Leads, to lead a particular strategic area on a national scale.